If you are a frequent flier who often travels between continents, than at one point you certainly made a stop at the island of Ireland. Few years back, most airline passengers from North America were traveling through Shannon Airport while coming from or going to the rest of Europe. But today, the title of gateway airport goes to the Dublin Airport. Located 10km north of Dublin, it is modern, efficient and is the home of Irealnd’s flag carrier, Aer Lingus, and Europe’s major low-cost airline Ryanair. 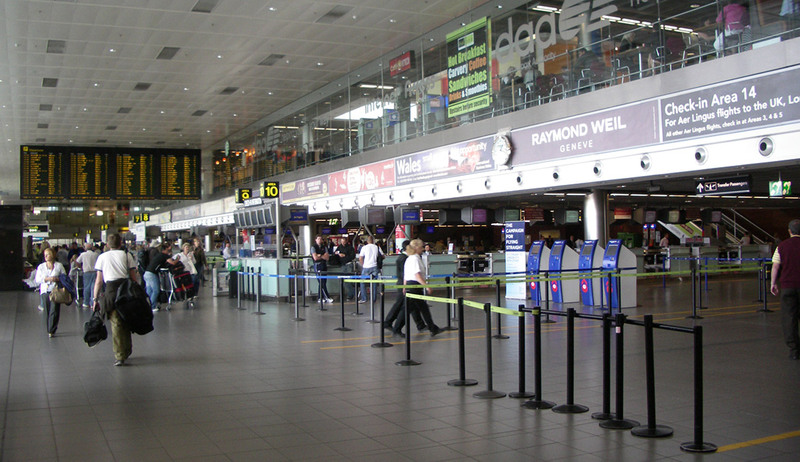 Dublin Airport is the 10th busiest airport in Europe. Only last year, in 2017, over 29.5 million passengers passed through the airport, making it the busiest year in the history of the airport. Up to 580 planes leave the airport each day, flying to over 150 different location across the world. Dublin Airport officially opened on January 19, 1940. The original terminal building had a specific curved shape and was designed to echo the lines of a great ocean liner. It was built to cater for just 100 000 passengers a year. At the time, the airport opened with only one flight a day to Liverpool, running on grass runways. The airport got its concrete runways in 1948. Over the years, the terminal became incapable to handle the growing number of travelers. As a result, the airport was additionally expanded with new departure gate piers, adjacent to the old terminal. But passenger demand kept growing, and in June 1972 the airport got a completely new terminal building, designed to cater for six million passengers a year. Since then, the airport was expanded even more with an extension to the terminal building, a new runway and taxiways. In November 2010, Dublin Airport received its Terminal 2, and its connected boarding gate pier was opened. The new terminal is an award-winning building that allows the airport to handle more than 30 million passengers per year. Since the first flight in 1940, more than 400 million passengers have travelled through Dublin Airport. The old terminal building, although only partially used, still houses some of the daily passenger operations and serves as a reminder of the early days. Dublin Airport has two terminal buildings. Terminal 1 is the older building which serves mostly short-haul flights, including most of Ryanair’s flights and is connected to the very modern Terminal 2 building. Terminal 2 handles mostly long-haul flights. It serves Aer Lingus, US carriers Delta, US Air, American Airlines, and United as well as Eitad and Emirates. All other airlines will arrive in Terminal 1. At both terminals, passengers who have departing flights can enjoy at the Airport Lounges. Two of the lounges are operated by the airport itself. At Terminal 1, the Lounge works from 04:30 till 21:00 and passengers can access the Lounge after going through the Security Check. It is located on the 2nd level, on ‘The Street’ between the Security check areas, and can be accessed via the stairs or lifts which are positioned directly opposite The Loop. At Terminal 2, the Lounge operates from 05:00 till 21:00. The T2 Executive Lounge is located airside and is directly adjacent to the 400 gates. Passengers can access it via the lift or escalator, which brings departing passengers directly to the 400 gates. The two other lounges, are located at Terminal 2, and are operated by Aer Lingus and Etihad. The airport is loaded with traveller amenities. The Mezzanine Level of Terminal 1 has many fast-food restaurants, pubs and a food-court. There are even more eating and shopping outlets available at The Loop. There, travellers can find boutiques, souvenir shops and restaurants. Just like Terminal 1, Terminal 2 also has a variety of shops, bars and restaurants, located before and after the security screening, and in and out of The Loop where travellers can enjoy a tasty snack, cool drink or a warm meal. Additionally, there are the Irish Whiskey Collection store and duty-free outlets. It is also important to say that both terminals have free Wi-Fi allowing passengers to stay in touch with loved ones, do some work, or pass the time during a long layover. Moving between the terminals is straightforward. A walkway connects the two buildings, which eliminates the need to take a shuttle bus. Even if passengers are landing at one, and boarding on a connecting flight at the other terminal, collecting luggage and proceeding to the next flight is fast and easy. Regardless of whether passengers are traveling to and from the airport, the drop-off and pick-up procedures are well-planned and always on time. If passengers are not using their own car, there are three modes of transport available at the Terminals. Passengers who are arriving in Dublin can use the car rental services available at the airport. To make travels easier and more convenient, most car rentals provide early booking options. There are around 700 busses that pull in and out of Dublin Airport on a daily basis. Most stop at Terminal 2 before proceeding to Terminal 1, and minimize the walking distance a traveler needs to pass on airport grounds. Busses are inexpensive and pretty convenient, and follow a set schedule. For passengers who do not want to use their own car or rent one, there are airport taxis queued between two terminals. 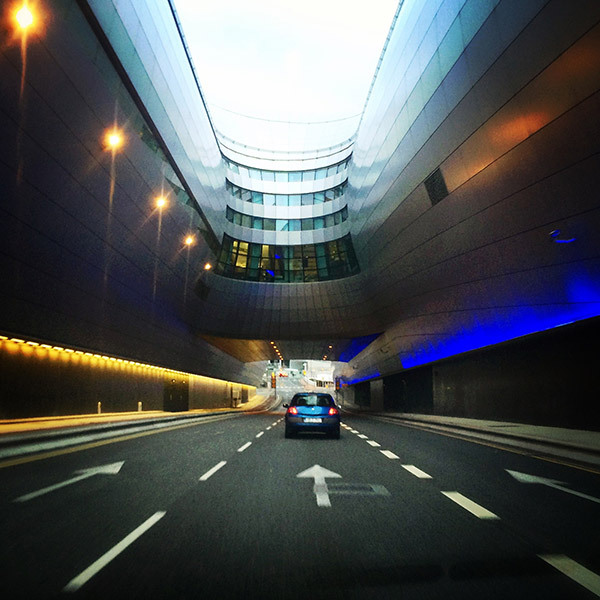 Travelers can use taxi services to get to and from Dublin Airport at any time. They can even make advanced booking for a taxi to pick them up as soon as their plane lands and drop them off at the final destination; or minimize the inconvenience of paying high parking fees, and have a taxi drop them off before their flight. Whether you are traveling for business of pleasure, there are many places to visit, sights to see and things to do in Dublin, and Ireland in general. The long history and rich culture are entangled with the modern trends and cultural changes, giving Ireland a special taste that can only be experienced first-hand. Enjoy your stay!